Last year saw the release of Batman: Arkham City, an open-world action adventure game that was touted as one of the best titles of its generation. Now Nintendo gamers are treated to an all new iteration of the already classic game made specifically for Wii U, with Batman: Arkham City: Armored Edition. While the new console may be much more powerful that its predecessor, gamers are still concerned that it can’t handle a game of this calibre; those doubts aren’t nearly enough to stop the Dark Knight from rising. Batman’s story begins when Bruce Wayne is arrested and thrown into Arkham City, a sectioned-off portion of Gotham City that essentially acts as a super-sized prison. After knocking out a few thugs, you quickly don the cowl and immediately start your adventure as the Dark Knight. 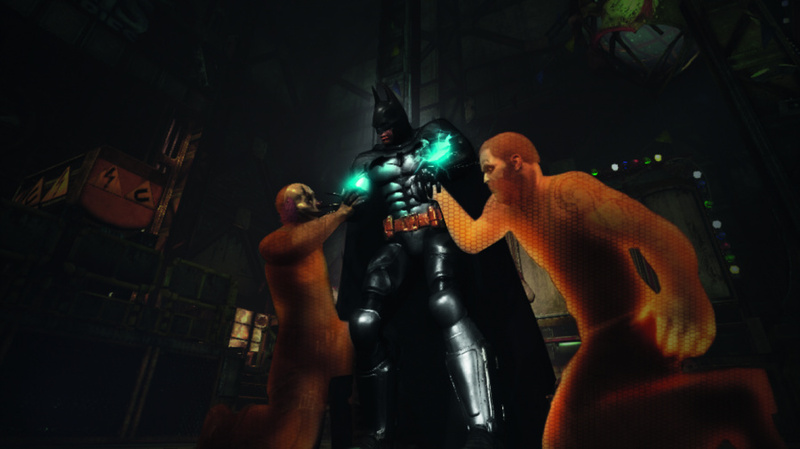 Batman’s return to Arkham quickly raises some flags and garners the attention of most villains, many of whom immediately act to take Batman out. As you progress through the story, you encounter a veritable who’s who of Batman villains who have been locked up in Arkham City along with you. The plot is a little convoluted and could have been kept much more concise if fewer villains had been used, but seeing almost all of Batman’s greatest enemies together in one place is a real treat for any fan of the Caped Crusader. 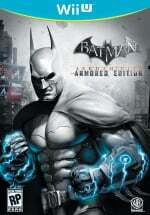 Simply put, Batman: Arkham City: Armored Edition is an open-world action adventure game with stealth elements sprinkled in-between. While most of the brawls will have you simply tapping buttons to attack and counter, the process never seems to feel dull or repetitive. The action is smooth and the way Batman moves is fluid, making for very exciting and downright fun battles. 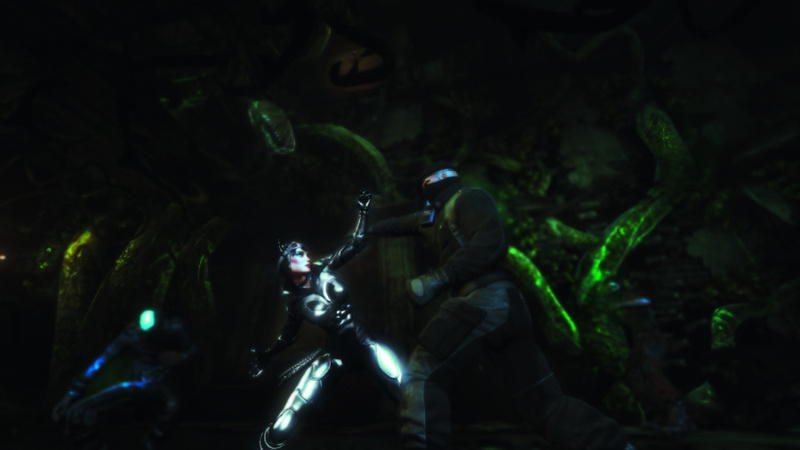 The stealth elements, much like the combat, are compelling and integrated into the gameplay well. Sneaking around a room and using Batman’s various gadgets to take out oblivious thugs is both exciting and rewarding when executed properly. Completing missions and finding in-game secrets will allow you to upgrade your character. While upgrades may be limited to new combo moves and slight weapon enhancements, these options add an element of customization to the game. If you enjoy getting in brawls, then you might want to upgrade your combos, but if you’re more into the stealth aspects, then you might want to consider some of the subtler gadget upgrades instead. One of the new features exclusive to this Wii U version is the Battle Armored Tech Mode, or B.A.T. Mode. As you fight baddies and achieve combat combos, a blue meter will fill up on the side of the screen. Once this meter is completely full, you simply tap the on-screen icon on your GamePad’s touchscreen and your Batsuit will temporarily be super-charged, allowing you to deal massive damage. While this feature can be fun and useful when you actually remember to take advantage of it, it also feels a bit trivial. B.A.T. Mode is a fun addition to an already exciting game, but it doesn’t actually alter the game in a significant enough way to make it a necessity. B.A.T. Mode aside, the key feature that truly defines this game and sets it apart from its previous iterations is the use of the Wii U GamePad and its seamless integration into the Batman universe. Working as a mini Batcomputer, the GamePad’s touchscreen allows players to check their in-game map, swap out gadgets and weapons, hack into password protected security systems, and even upgrade their character without ever leaving the action of the game. The second screen does wonders to increase the sense of immersion, almost as though you’re actually holding access to Batman’s arsenal. Because you don’t actually have to pause the game to gain access to your equipment, there is a sense of urgency while exploring the streets of Arkham City. It can be a daunting task trying to swap weapons while in the middle of a heated brawl with some villainous goons. You also have the option of playing entirely on the GamePad by dropping the game down to the smaller screen, but doing so will take away the advantages of having two screens in the first place. It’s still very playable on the GamePad screen, but checking your map and equipment require a pause in gameplay, thus breaking up the action’s pacing. Thankfully, from throwing a punch to gliding around the city, the majority of controls are mapped out to the GamePad’s physical buttons in an intuitive way, making controlling your character an easy enough task that won’t take too long to master. The campaign can be completed in around 10-15 hours, but there’s a whole treasure trove of additional content that will keep you plenty busy beyond just the main story. Wii U gamers are in for a treat because Batman: Arkham City: Armored Edition contains all of the downloadable content that was released for previous versions of the game, including expansions that extend the plot beyond the initial campaign and allow players to take on the roles of Catwoman in one, and Batman and Robin in the other. There are also various Combat and Predator Challenges that test your skills of strength and stealth. These challenges can be played as any of the aforementioned additional characters, and Nightwing as well. 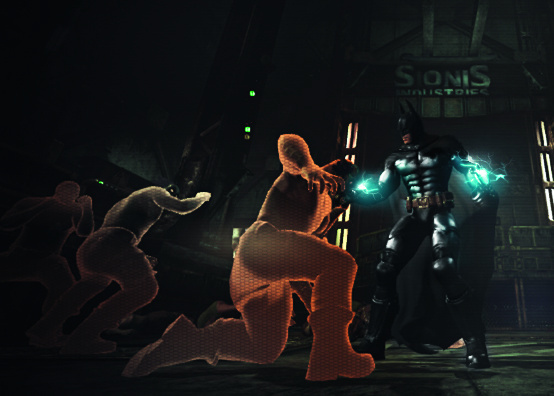 Beyond the additional content, there are also plenty of side missions and hidden puzzles placed around Arkham City for players to find. True treasure hunters and completionists will definitely have their hands full trying to locate every piece of loot. And even if you’re not committed to finding and completing everything that the campaign has to offer, these side quests do help to upgrade your characters, as well as unlock bonus art and character models; it might be in your best interest to keep an open mind. Batman: Arkham City: Armored Edition really puts the Wii U’s power and output to the test. The game looks great in HD, and it has a riveting soundtrack that matches the intensity and pacing of the action to a tee. Though the characters may be detailed and the environments look gritty and realistic, when it’s all put in motion there are some frame rate issues that simply can’t be overlooked. While most of the slow-down occurs during cinematic sequences, it’s still present, and noticeable to the point of being distracting. It’s not jarring enough to be game breaking, and it generally doesn’t interfere with actual gameplay, but players hoping for a smooth and seamless experience might be disappointed. It’s difficult to call Batman: Arkham City: Armored Edition the definitive version of the game, but it does well to stand on its own merits. Frame rate issues aside, the incorporation of GamePad controls makes this feel like a natural experience, almost as though the game was originally made with Wii U in mind. Any fans of Batman will have a blast taking control of the Dark Knight and knocking out classic baddies, and anyone else just looking for a great action adventure game will be satisfied as well. With a relatively lengthy campaign and loads of extra content, this one ensures that gamers will practically be able to play as Batman forever. Man, these reviews are churning out fast! Finished the main story... This game is a fantastic fit for the Nintendo console. I know it's a year old game but this is my first time playing it and I've loved every minute. I haven't got this yet, but the trailers told me that Rocksteady has shown the true power of the gamepad. 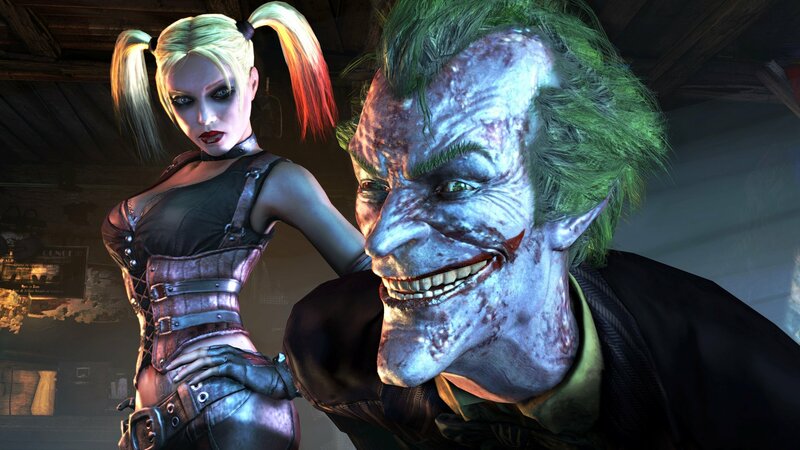 I've played arkham aslylum on my Formerly-owned Xbox 360 and it was one of the best I've games I've played this year. I can't wait to get this one. Batman forever. I see what you did there. @Swithom - When the game has been... completed... then you have my permission to whine. Thats a way too low score for this game. I think you guys are taking too much merit to the game and just concentrate on the Wii U specific points. Also: Dudes. Batman, Mass Effect, Assassin's Creed. Call of Duty. Darksiders. On a Nintendo console. I'll take a few frames for that. This game is boss. I don't see myself getting this anytime soon since I played the heck out of it whenever I was at my friend's house. I know it's "armored adition" but its still the same game. If the other versions were released when this came out, then I would definately get it. Frame rate loss is just unacceptable for me. Will get it some time down the line methinks. Frame rate issues on the shiniest, newest console should be unacceptable. Especially, since the same game can be had without such issues on two other systems using hardware released over half a decade ago. I would personally give the ps3 version (which I finished) a 9.9/10. Near perfection. Every video I've seen so far on Wii U version tells me THIS IS THE DEFINITIVE Version due to what the gamepad adds to an already stellar experience. So seeing a 8/10 after reading super positive things from the same reviewer is a bit puzzling to me. 8 imo is great but not to memorable. 9 however is Excellent and memorable. I'll be get it on Wii U. But it won't be right away. This was easily my number 1 game that I wanted! I was really really disappointed back when the original Arkham came out for all other systems but Wii and same with it's sequel. Thankfully the Wii U has it.. I am also now hoping for a re-release of the first Arkham game on the Wii U. Hopefully they come out with a patch for the frame rate issues, but I really don't care too much about that. Going to pass on this game even though its one of my current favorite games, but I have the GOTY edition on Xbox 360. Going to go with Assassins Creed III for my first Wii U non exclusive game. If you have never played this game though and are a Batman fan like me I highly recommend it. Definitely deserves a 9 or higher! Especially since it includes every update and other Character mini campaigns for free!! Armored Edition will be one of the first games I purchase when I get a Wii U along with Wonderful 101 (whenever that comes out). Yes, it's a new console; it's early days. This means that developers don't properly know the hardware yet, so that usually means that launch games usually don't show the consoles full potential, or at least have small framerate issues like Batman here. Fully fantastic games that really push the hardware and impress everyone usually come later in the hardwares life cycle. Game is totes amazeballs on the gamepad. I played the game on my PS3 and it's amazing. 10/10 IMO! Might have to get this just for the Harley Quinn factor. This pun has my approval, for obvious reasons. clunky controls and Akward Stuttery Cutscenes. Just sayin! I keep reading this frame rate BS,, I have this for my PS3 and I got it for my Wii U plays the same I had the same frame rate issues on the PS3 version seems to me its a problem on the game makers part not the system and to me the Wii U version looks better and you don't have to pay for all the DLC that in itself is a really good deal., By the way, game is well deserving of a solid 9.5 out of 10.. I'm finishing this up on XBOX now, so I'm not about to get a WIIU for it. But I'll surely get it later when I have one and it's cheaper. It may be knit picking since I also believe that the WIIU will eventually be far ahead of the others on some basic things but there really isn't any excuse for ANY part of this running any worse than any other current consoles at ALL. It's an older game for older consoles, why is it that Wii U should get a pass for running it sluggish at all? Probably the second screen, I hope developers find good ways to stream it to both better without frame rate issues soon, or I may just wait for the other consoles all together. 8!! WHAT THE HELL!!! IT DESERVES A 10!!! Glad I chose this as one of my launch games,bring on Christmas day. @SMEXIZELDAMAN Technically there 'may' be frame rate 'issues' but I can happily day whilst playing it i've never noticed or even been bothered by any slowdown. Apparently it's most noticable in fight scenes, but due to the way the game speeds up and slows down to show off the fighting, I really haven't noticed it. I've already finished this game on PS3, but the Wii U version looks great for someone who didn't have the game on another console. Best 3rd party game for Wii U so far! How do you end up with frame rate issues while running it on a decidedly more powerful console? Does it have to do with the porting proccess? I seriously can no longer wait to play this. So tempted to break open the "family present" right now and play it. @tabris95: All of these 3rd party games that are coming out for Wii U with frame rate issues is due to rushed and not quite sure how the system works yet on the developers parts'. Got it when it launched for 360, but want it for my Wii U. Just one question: Are the game+ costumes armored as well, or can I still rock the old-school TAS skin? I'm not really diggin' the armored looks. This game is the BANE of my life. If you need more puns just ask; I Gotham all. @WhiteTrashGuy The old costume are like the 360 and PS3 version- not armored. Thank you, OcarinaDude. Was thinking about trading in my 360 copy towards this one. This definitely influences my decision. what's so different about this compared to the ps360 versions that it gets a lower score? Probably the occasional framerate issue is what bumped the score down. Although I'm surprised the game didn't get a 9/10. It's been released a year later at full price, something which will often cause a game to lose a point or two in a review. Yes the game does drop some frames but has anyone played Fallout 3, an any console ? Mr game of the year was buggy, crashed and chugged all the way through. Game developers could learn a thing or two from Nintendo. First being that if you are going to make an epic video game how about actually play testing it and just possibly finishing it ? Never see these problems with Nintendo releases. I just got this yesterday. It is awesome! The gamepad usage is really cool! The idea of using the gamepad like Batman's wrist computer is really neat! I do agree that frame movement maybe a little slow, but that is just minor. Extremely fun combat and stealth really contributes to this game's success! Though I have not done much, I can't wait for more! 10/10 so far! This and Assassin's creed are my top Wii U games. I hate this game. The map is useless because it doesn't account for buildings with multiple levels, which is ALL OF THEM. I can't find the frigging doors anywhere. Meanwhile batman's just repeating "I need to get to the Loading Bay." Am I familiar with this particular building and where the Loading Bay is? When I find the door, I have to equip a special gun, which I don't know how to do - hold L, point above the door, then press R. It comes up about six inches. I duck and try to go in. No dice. Turns out (I looked this up) I need to hold B to Run (which I forgot already) and tap something else to ROLL UNDER THE DOOR. No crawling, just rolling. Maybe, I don't know, put a knob on it? Let there be an alternate, less esoteric way to enter? I can't remember the buttons and it keeps popping up with X = Smoke Pellet when I don't need it. Why not just show me all the buttons? I looked up the manual and it shows the combat controls and that's it. Why should I have to hold ZR (WTF is ZR?) and press X when there's a touch screen that could just pop up with the action I want to take? The touch screen does nothing. It says "Waynetech" and "Objectives." I have no idea WTF Waynetech is. It keeps saying "level up" yet I have NO IDEA how to level up. What happens when I poke level up? Nothing. But I do get to read a profile on the Joker. Whoopee. I played the first game in one marathon session because it was so much fun. This one is just terrible. I played arkham asylum on the 360 and loved it. Arkham city on Wii u is awesome! I love it! Beautiful game. The Gamepad makes the game so much better. The map, the inventories, the batarang, even the power recharge thing... I wish all games took such amazing advantage of the gamepad. I may just buy this in the near future along with Arkham Origins. I'll probably pick up Arkham Asylum for the PS3 so I can play as the Joker. hope arkham origins will be as good at this one! Quite possibly the best video game I have ever played.